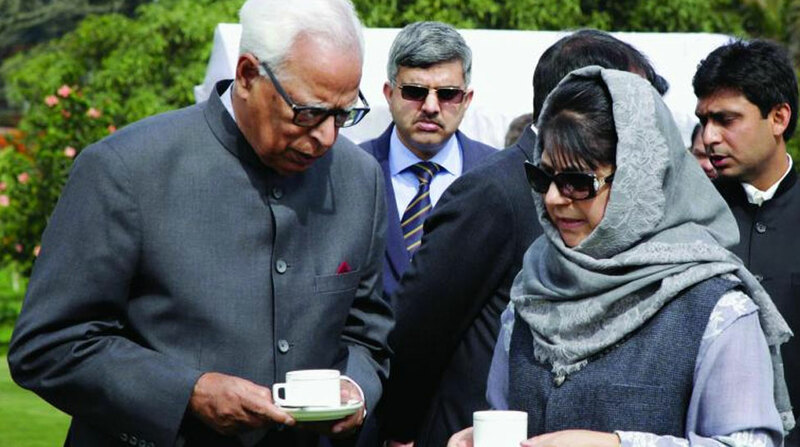 After the end of alliance of ruling Bharatiya Janata Party (BJP) – People’s Democratic Party (PDP) in Jammu and Kashmir, the state has come under Governor’s rule with immediate effect. Today’s morning, President Ram Nath Kovind approved the imposition of Governor’s rule in J&K with immediate effect. This happened within 24 hours of break of alliance. Know more. This led to resignation of Mehbooba Mufti and her team of ministers. They submitted their resignation to Governor NN Vohra. Governor Vohra held discussion with all the major political outfits of the state. Later, he forwarded a report to President Kovind for imposing Governor’s rule in J&K under Section 92 of the Constitution. Due to rising violence and discrimination against the innocent civilians belonging to Jammu, this decision has come up said BJP General Secretary Ram Madhav. There is a rift between PDP and BJP over anti-terrorists operations where Mufti-led PDP wanted Centre to work peacefully while BJP don’t agree over that anymore. Although there were issues between two, the decision to break away apparently came after the meet of BJP’s Jammu and Kashmir cabinet ministers and Amit Shah in Delhi on Tuesday. The coalition government was formed in 2015 in which BJP had 25 seats while the PDP had 28 in the Jammu and Kashmir Assembly. The President also approved the report and now Governor will preside over Jammu and Kashmir. In last ten years, it is the fourth time when the Governor’s rule has been imposed. Before this, the state was under governor’s rule in the year 2008, 2015 and 2016. Governor NN Vohra is 81-years old and will now be running the state for a fourth time since his appointment in 2008. Previous articleSanju: Ranbir Kapoor has a Witty Reply to Salman Khan’s Criticism, here’s what happened! Next articleDeepika Padukone and Ranbir Kapoor look aww-dorable in this video. Cheggitout!